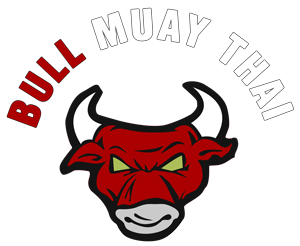 Bull Muay Thai Gym and Bull Muay Thai Pro Academy. 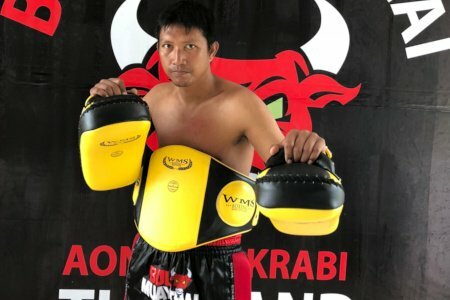 Bull Muay Thai Gym is a professional muay thai camp in Ao Nang beach of Krabi, one of the most beatiful beach of the south of Thailand, and most visited for the famous amazing island around, Kho Phi Phi, Kho Lanta, Kho Yao Yai, Kho Hong and more. We are no only gym, we are a team of professional fighters and professional trainers for help you to reach your goals. 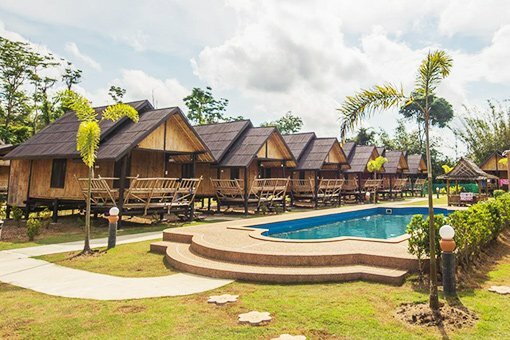 We have also 30 bamboo bungalows whit swimming pool where you can relax after training. Several courses available: from the Beginners to Pro Fighters. 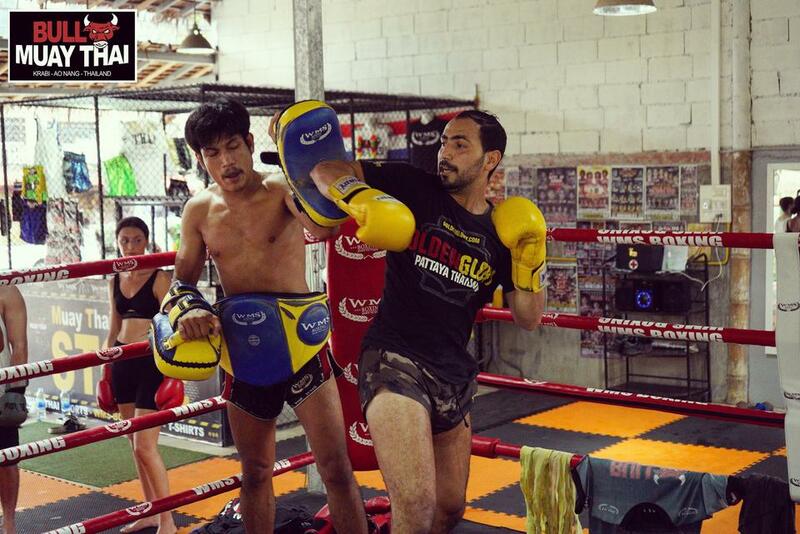 The Muay Thai Camp in Thailand to train and relax or become a Pro. 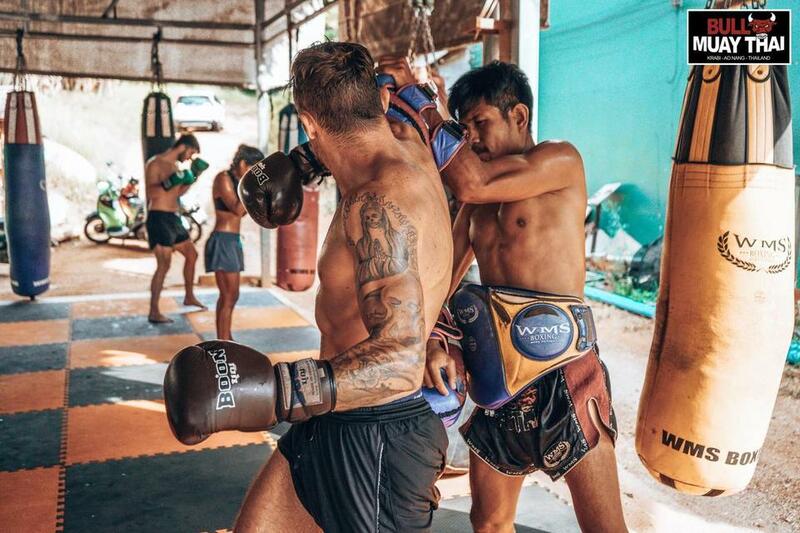 Bull Muay Thai trainers are very experienced and ready to guide you step by step to the success during your staying at Bull Muay Thai Gym. 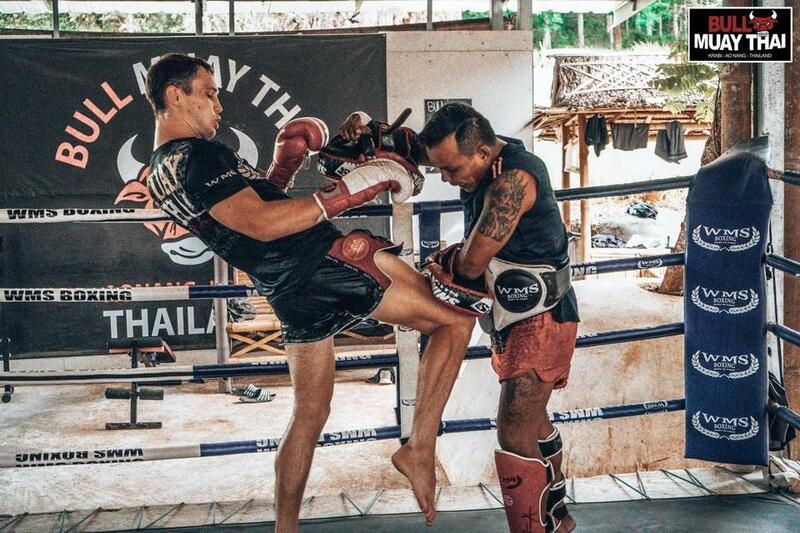 Muay Khao style, elbow specialist. 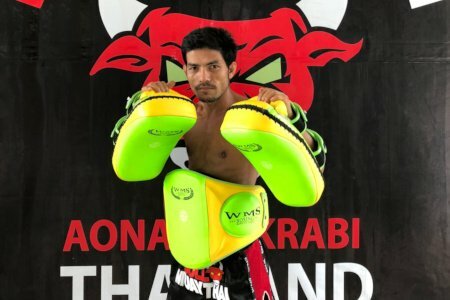 Great partner for sparring and clinch work. 6 years experience as a professional trainer also an ex fighter and very good at teaching western boxing. Good pad holder for all sizes great at developing your power. Specialist with western boxing and elbows. 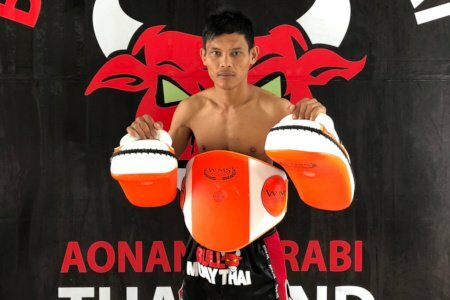 An excellent all around trainer very technical and will help you with all aspects of Muay Thai. A very technical trainer. He will help you especially elbows, knees and getting your range/distance right. 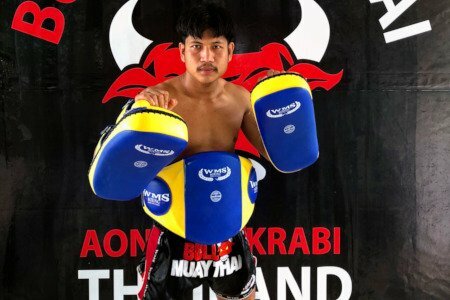 Muay Khao style excellent with beginners, great partner for sparring and clinch work. 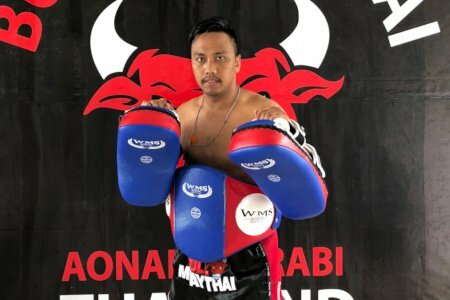 Become a Pro Fighter with Bull Muay Thai! Bull Muay Thai Pro Academy for pro fighters, located just 1 km from Bull Muay Thai Gym, is one team of professional fighters from different countries (Thailand, France, Italy, Germany, Spain, England, Australia, Argentina) that train all together everyday whit a help of our professional muay thai fighters and muay thai trainers. 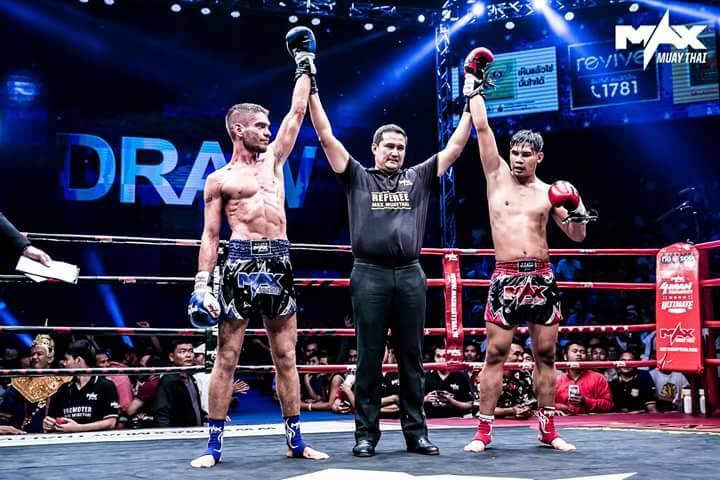 Bull Muay Thai Pro fights every week on a different channel of local TV in Thailand and Asia. This team will be happy to share this passion whit you. Welcome to train as professional with local champions in our Fighters factory. These exercises can be shared in two sessions, morning and afternoon.